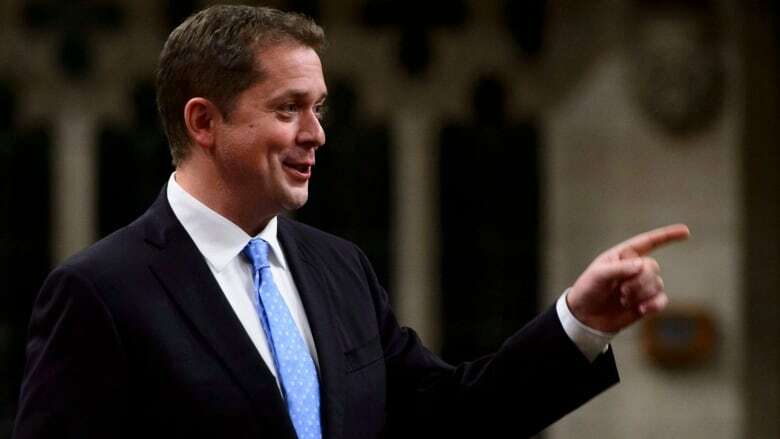 Conservative Leader Andrew Scheer said Monday Prime Minister Justin Trudeau is 'directly' to blame for cratering oil prices in Western Canada. He's blaming the federal Liberal government for energy policies that have left pipeline capacities constrained and Alberta producers scrambling to sell their product for pennies on the dollar. Conservative Leader Andrew Scheer said Monday that Prime Minister Justin Trudeau is "directly" responsible for cratering oil prices in Western Canada — pointing the finger at federal energy policies he blames for leaving pipeline capacities constrained and Alberta producers scrambling to sell their product for pennies on the dollar. With the Trans Mountain expansion and Keystone XL stalled and the Northern Gateway project shelved, Alberta's producers have been forced to accept prices far below world levels for their oil. TransCanada also pulled the plug on Energy East amid shifting demands from Canada's energy regulator, the National Energy Board, and poor market conditions. "The reason we don't have this energy infrastructure today, the reason why we're bleeding in Western Canada because of this price differential, and the reason why we continue to have to import foreign oil in eastern Canada is directly related to Justin Trudeau's policies," Scheer said at a press conference in Winnipeg. When asked about Alberta Premier Rachel Notley's move to impose mandatory production cuts on the oil patch, Scheer said the the "level of anxiety" is "very pronounced" in the province as the price spread between Canadian oil and U.S. product has grown, threatening the financial viability of the entire energy sector. The price gap improved Monday when the market had its first chance to react to Notley's production cut plan; traders sent shares of some Alberta oil producers up and the price of Western Canadian Select improved considerably. While pipeline delays and cancellations have helped to drive down the price of Canadian oil, a number of key refineries in the U.S. — including the largest buyer of Canadian heavy oil in the United States, the BP Whiting refinery in Indiana — have also closed in recent weeks for a series of planned maintenance projects. These closures have reduced temporarily the main market for Canadian crude. 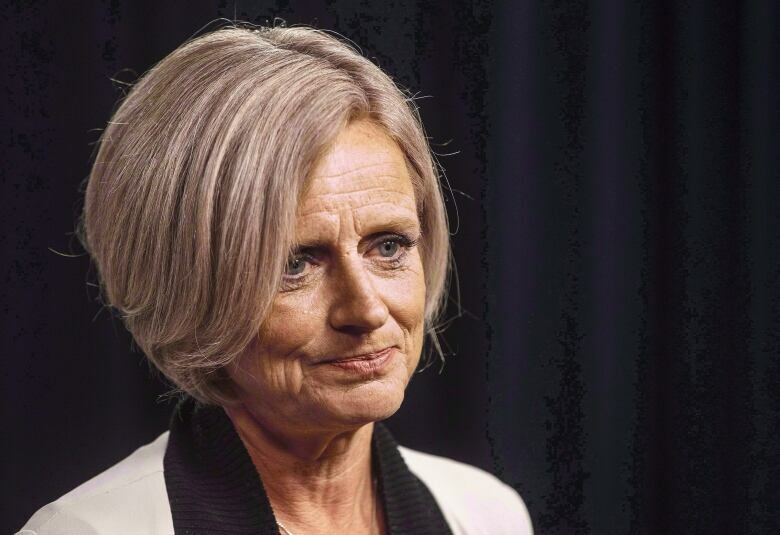 Beyond forced production cuts, Notley is also pushing forward with a plan to buy thousands of rail cars to move Alberta oil to U.S. Gulf refineries to help close the price gap. She has asked Ottawa for financial support for such a plan but Finance Minister Bill Morneau has so far been coy about his intentions. "Our goal will be to work with Alberta and the industry to deal with these real, acute problems of getting access to markets. We will keep talking to the premier about her idea and see how we can be supportive," Morneau said at an event in New York Monday. A spokesperson for Natural Resources Minister Amarjeet Sohi said the federal government is committed to "relieving the pain felt by so many" in Alberta due to the growing price differential. "We are focused on ensuring that every barrel of Alberta oil gets its full value. That is why our government has made addressing this national issue — and increasing market access in general — an urgent priority," the spokesperson said in a statement to CBC News, pointing to Ottawa's continued support for the Keystone XL and Line 3 pipelines. Speaking to reporters ahead of question period Monday, Sohi said the government is committed to moving forward with Trans Mountain despite the ongoing challenges, and will build it in "the right way." "The long-term solution to this problem is [addressing] constrained pipeline capacity issues we've faced for the last number of decades," Sohi said. "It's important we reduce our dependence on the single customer we have, the United States ... We need to end that dependency." Notley took a less amicable approach to Ottawa's statements Monday, saying federal politicians should "toss the half-hearted statements away." "We don't actually need Ottawa's sympathy. We need Ottawa's full attention," she said. Scheer said the federal Liberal government is also to blame for a Federal Court of Appeal court decision in August that put the Trans Mountain project expansion on an uncertain path, as Ottawa is now to forced to re-do consultation efforts with Indigenous peoples along the project's route and around its terminus and reassess environmental impacts on marine life in B.C. "When it comes to consultations with First Nations, the judge that ruled on the Trans Mountain case was very, very clear: it was a failure on this government to properly execute the consultations. It wasn't necessarily a question of the rules changing. It was a failure on this government to actually execute," Scheer said. Dawson referred to previous federal consultants glorified "note-takers" who recorded Indigenous concerns about the project without acting. The federal government has since tasked Frank Iacobucci, an 81-year-old former Supreme Court of Canada justice, with jump-starting a reboot of the process so the government can meet its constitutional duty to consult with Indigenous peoples before making another final decision on whether to proceed with construction. Beyond Trans Mountain, the federal government is pursuing major reforms to the approval process for natural resources projects in this country through Bill C-69, legislation currently before the Senate. While Ottawa has tried to sell the bill as a way to streamline environmental assessments while bolstering consultation efforts with Indigenous communities, oil patch boosters have called the bill "terrible" and have said it should be scrapped or dramatically overhauled. Critics fear the bill would add time to the approvals process and leave too much power with the federal environment minister to arbitrarily approve (or kill) a project. It also will remove the "standing test" that determines which groups can appear before the regulator to make a case for or against a particular project. The Liberals have said that move democratizes the process, while Scheer said Monday it simply allows "foreign groups with foreign funding into advocacy groups here in Canada to appear before these hearings." Also troubling for supporters of the country's extractive industries is Bill C-48, legislation that would prohibit tankers carrying crude oil from loading or unloading at ports in northern British Columbia. The legislation — which would ban tankers capable of carrying more than 12,500 metric tons of oil from an area that stretches from the northern tip of Vancouver Island to the Alaska border — has been both praised and pilloried by local Indigenous peoples. The failed Northern Gateway project had secured financial agreements with some 21 First Nations along the project's route — an entity called Aboriginal Equity Partners owned a 33 per cent stake in the line — while other Indigenous communities were worried about the potential for a spill in coastal waters. Environmentalists have championed C-48 because it would effectively prevent another project like Northern Gateway from ever materializing.